Do you want to have beautiful custom draperies or curtains for your home, but don't have the budget to hire someone else to design and make them for you? Learn how to make the yourself with my detailed How To Make Draperies & Curtains video class! Making your home beautiful on a budget is hard! I get it! video course for 50% off the regular price of $39.99! Click the button above to go to site where drapery video is hosted. After adding the video to your cart, enter the promo code PP50 to apply your 50% discount! "Jann Newton's 'How To Make Drapery Panels' class is a great how-to video series... whether you're new to making pleated drapery panels or just looking to improve your existing methods. 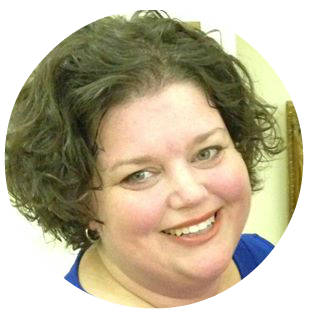 She walks you through the entire process- starting with how to properly measure your windows- explaining the 'how' and 'why' of each step along the way. Jann also includes several useful forms to aid in calculating yardages for solids and prints as well as figuring pleats and spaces for single or multiple width panels. 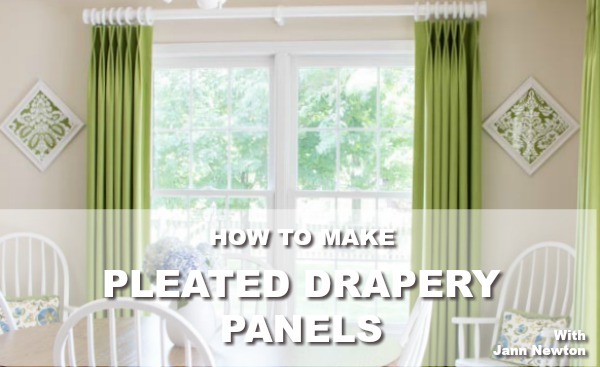 This video series successfully breaks down the daunting task of making pleated drapery panels into manageable & understandable steps...well worth purchasing!"